I went to public school as a kid. You know what was one of the best days in a class? The day you walked into your classroom and saw the big rolling cart with the TV strapped to the top of it, and the VCR sitting halfway down. I’m ancient, so watching movies wasn’t as much of a thing in elementary school, or maybe I don’t remember it as much. However, in middle school and high school if the assigned reading book had a movie, you can bet we were watching it. As a public school teacher a few years later, I know as a special treat we watched a few books made into movies. Of course the technology had changed, and it was a DVD and the librarian started it. It always led to great discussions, how were they similar, how were they different? After many hard years teaching my kids how to read, I was looking for how to extend their skills, and I remembered those many happy memories of watching the movie adaptations of favorite books. I also remember a few frustrated hours as the movie ruined a favorite movie (cough Charlie and the Chocolate Factory cough cough, oh WAIT! I did watch that one in 4th grade with my teacher railing on about how they changed the book, I get her frustration now). I started researching books made into movies, and discovered dozens of them. Over the past twenty years quite a few children’s books have been made into movies. There’s the obvious of Harry Potter, but have you thought about reading/watching Bridge to Terabithia and talking about how to cope with grief? Or read a book you probably read in your childhood Stuart Little and talk about how much the movie changed the plot and the characters? The more I thought about it, the more movies I realized were based off of books. It took me a bit, but I figured out at least ten books from third grade up through high school. Several of the elementary grades had twenty books you could read. I started to winnow down my list, I knew I don’t like Twilight, so that was right out. I’m also not a fan of How to Eat Fried Worms, so scratch that book. Then I thought about what my kids love. My daughter always wants to find books with animals, though the animals can’t die. My boys are fans of all things adventure. I picked from a wide variety, and we read and or listened to dozens of books only to watch the movie. The magic comes in the planning, we plan snacks. At first I came up with all of the snacks, but as my kids have grown older, and as they’ve gotten more excited by the idea, they’ve created my snack lists. Depending on the time I have it’s simple. Why look cheetos look an awful lot like fireballs, we now have the fireballs for our How to Train Your Dragon movie night, or gummy worms for tentacles. Sometimes I feel ambitious and roll out cookies, I’ve discovered this super cool 50 animal cookie cutter bin (affiliate link) to be amazingly helpful. You can make all manner of things by dipping pretzel sticks into candy melts and chocolate chips. A dipped pretzel stick could be a torch, a club, a sword, a peg leg, who knows what else they will transform into. Want to extend it a little further? For some of our movie nights we’ve made extra projects. After reading Stuart Little we made a house for Stuart. Charlie and the Chocolate Factory saw the kids writing ads for Willie Wonka candy. When we read My Side of the Mountain we did a whole slew of activities similar to what Sam said he tried. It was rather messy. 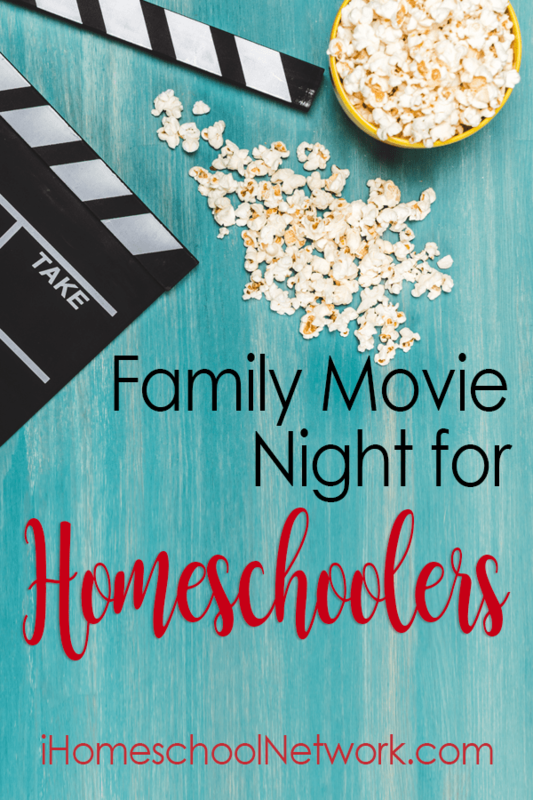 Want to try your own family book made into a movie night? Over at my blog I’ve put together over 100 books made into a movie broken down by grade level. At first I updated it every time a new movie was made, but it’s all the rage to release books made into a movie, usually not well, so now I’m updating it once a year. So far this year I’ve got five movies to add in since I last updated it in January.